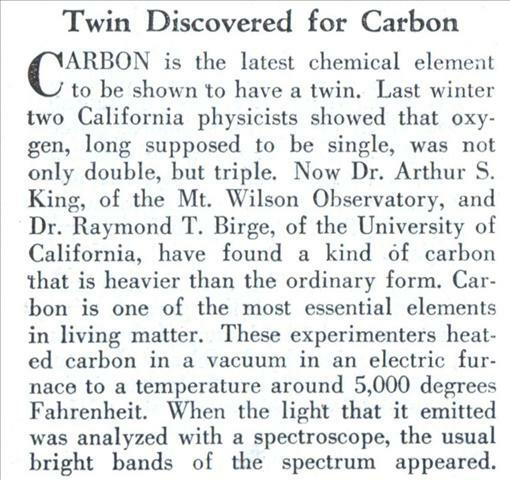 CARBON is the latest chemical element to be shown to have a twin. 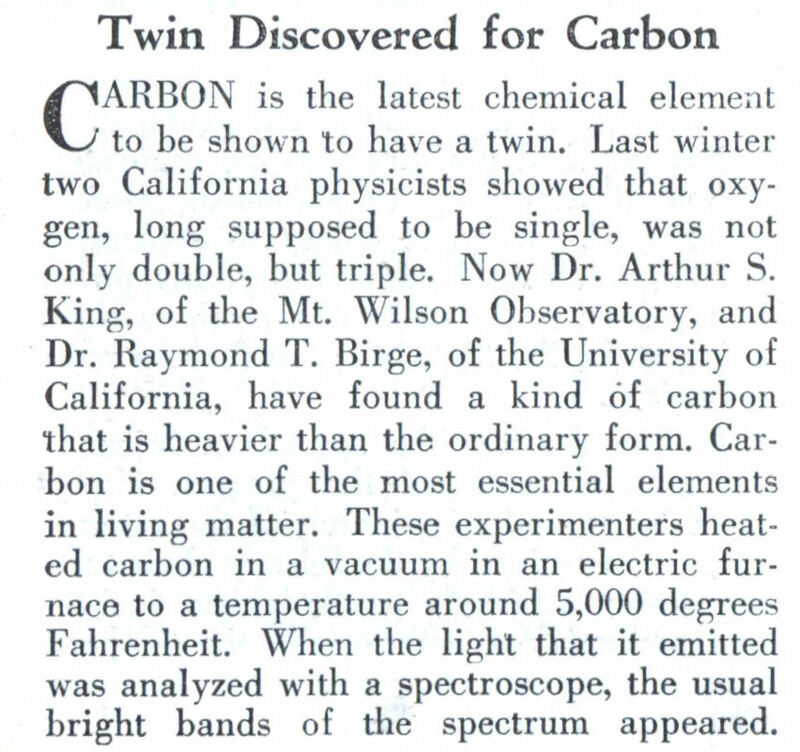 Last winter two California physicists showed that oxygen, long supposed to be single, was not only double, but triple. Now Dr. Arthur S. King, of the Mt. Wilson Observatory, and Dr. Raymond T. Birge, of the University of California, have found a kind of carbon that is heavier than the ordinary form. Carbon is one of the most essential elements in living matter. 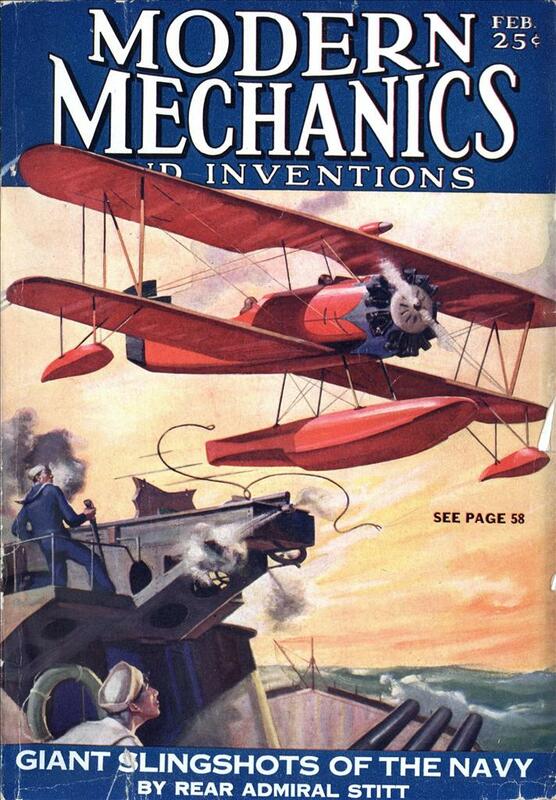 These experimenters heated carbon in a vacuum in an electric furnace to a temperature around 5,000 degrees Fahrenheit. When the light that it emitted was analyzed with a spectroscope, the usual bright bands of the spectrum appeared. Is it me or does this article make no sense. JMyint…. The article doesn’t make any sense to me either… The editor must have needed a 2 inch column filler and all he had was a 4 inch article, so, I couple of quick snips and it fit… never mind that he cut out all the useful information.. it fit! A quick Google of the names brought up a couple of interesting articles..
Reading the article on Birge, it looks like it was Carbon 13 they found.